Have your friend complete and return one of the "Referral Tickets". 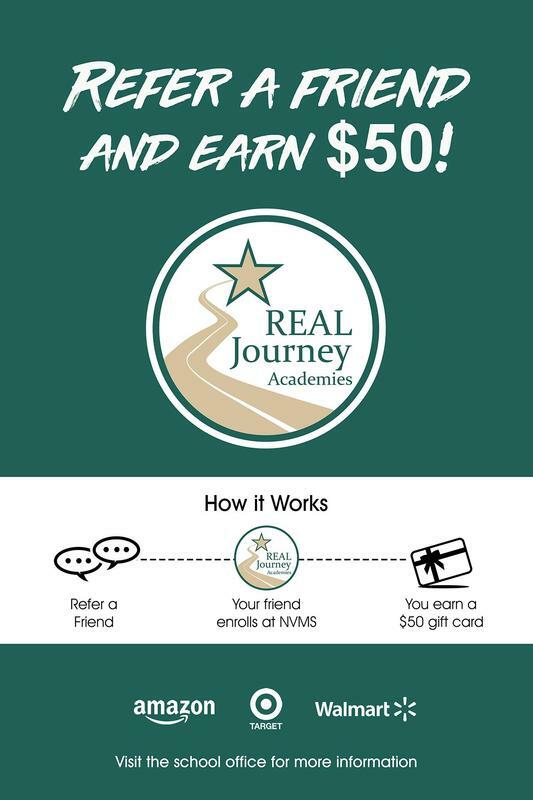 Once they return the ticket to us and become a RJA student, you will receive a $50 gift certificate to help you with school year expenses. Referral Tickets can be returned to school that the new student will attend.